This is likely not a huge problem for the majority of people out there, but as of October 1st, American Airlines Admirals Clubs will be going cashless for all purchases. Uber & Lyft Cleared for Arrival at LAX! Located in downtown Portland, the Westin is one of two Starwood properties in the State of Maine. On a recent trip to Midcoast Maine, I had an extra night before flying back to Kansas City, so I booked a Cash & Points stay at the Westin Portland Harborview. Wings of Pride, TWA's Employee Owned MD-80, Returns Home! On December 1st, 2001, Trans World Airlines (TWA) operated their final flight. TW220, operated by N948TW, departed from Kansas City, Missouri and flew the short hop to St. Louis, Missouri. American Express opened up their fifth Centurion Lounge last Thursday in Miami. Located on the 4th level by Gate D12, in the former British Airways lounge, the Centurion Lounge is open daily from 5am to 11pm and provides a wealth of amenities over a standard airline lounge. Upgrade to the AAdvantage Aviator Silver World Elite MasterCard! Last fall, BarclayCard announced the end of the US Airways Dividend Miles credit card. American has had an exclusive relationship with CitiBank for quite some time, so it was no surprise that they'd be the official credit card partner after the merger with US Airways. 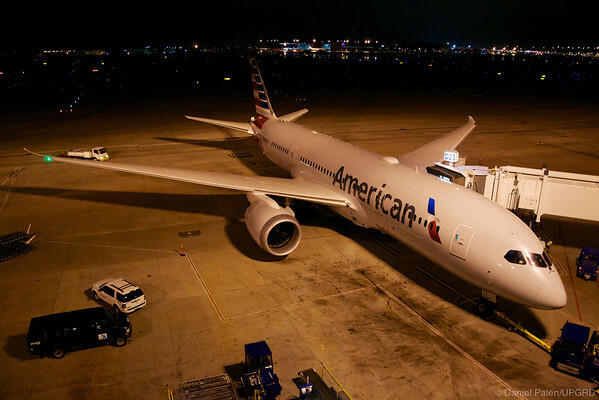 On-Board American Airlines Inaugural Boeing 787-8 Flight!